The charms of the village, the pleasures of a great ski area! Nestling in Savoie, Champagny en Vanoise is one of 10 ski resorts of La Plagne skiing domain : 225 km of marked runs, 108 lifts between 1 250 and 3 000m in altitude. Discover new glide spaces with "Paradiski"(ski areas of la Plagne and les Arcs have been linked since Christmas 2003 : 420km of pistes) . Champagny is also the setting of a magnificient crosscountry ski area (30 km) crowned by the summits of Vanoise national Park, which boast winter walking and snowshoeing trails. 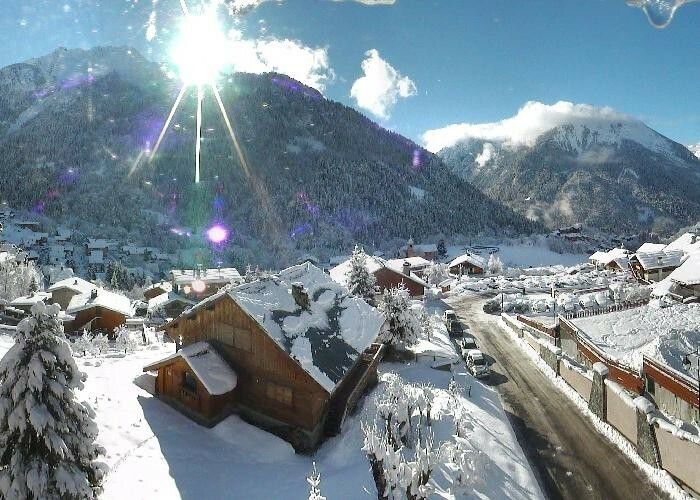 Get snow reports and powder alarms from Champagny en Vanoise straight to your inbox!